I recently realized that I've done this trip before. One month, NY to CA and back. It was 1978. I would have turned five during the trip. My father reminded me the other day that he turned 40 in 1978. Now I'm 40 and planning a similar excursion. He thinks it's some sort of mid-life crisis. 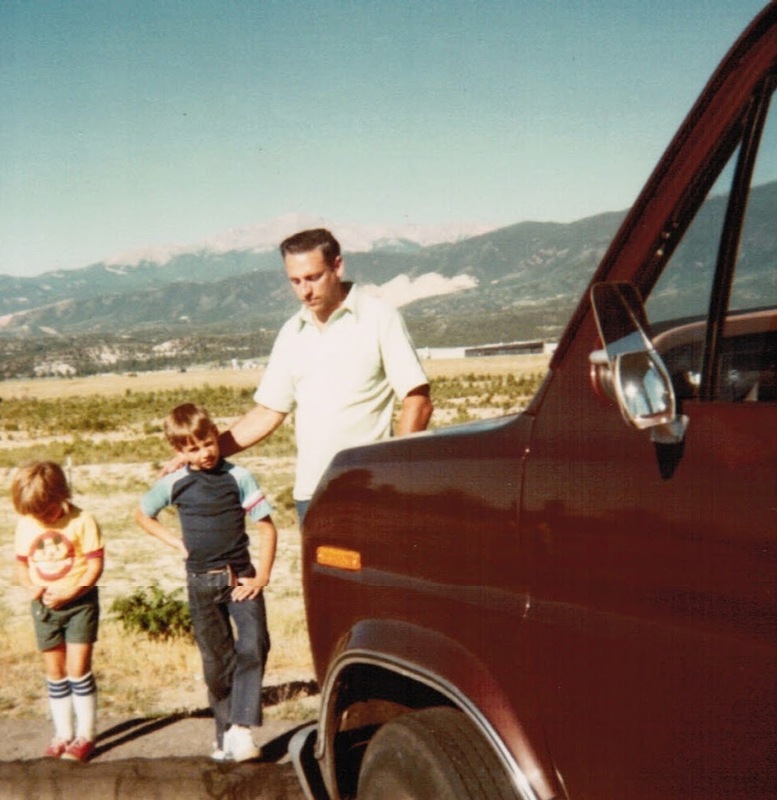 In 1978 my family of five piled into the brand new two-tone brown Ford Econoline van and basically lived in it for a month. Camping our way out west and back. I don't recall the trip given my age. 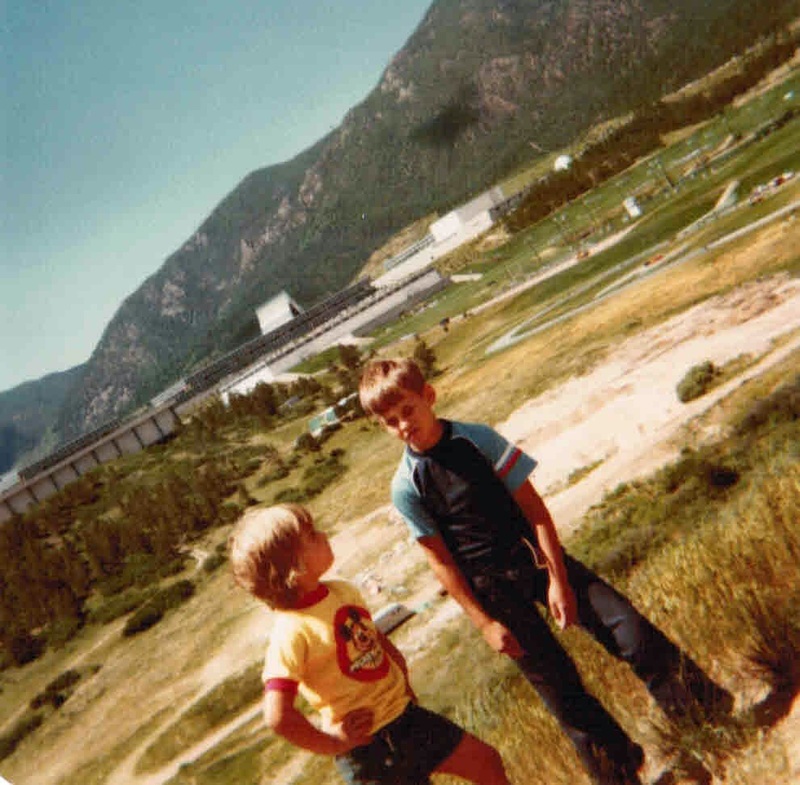 My brother Eric was 11 and John was 7 so they remember more. I think that van may have been the first new vehicle my father ever bought (and the last for some time after). He finally sold it 1997. 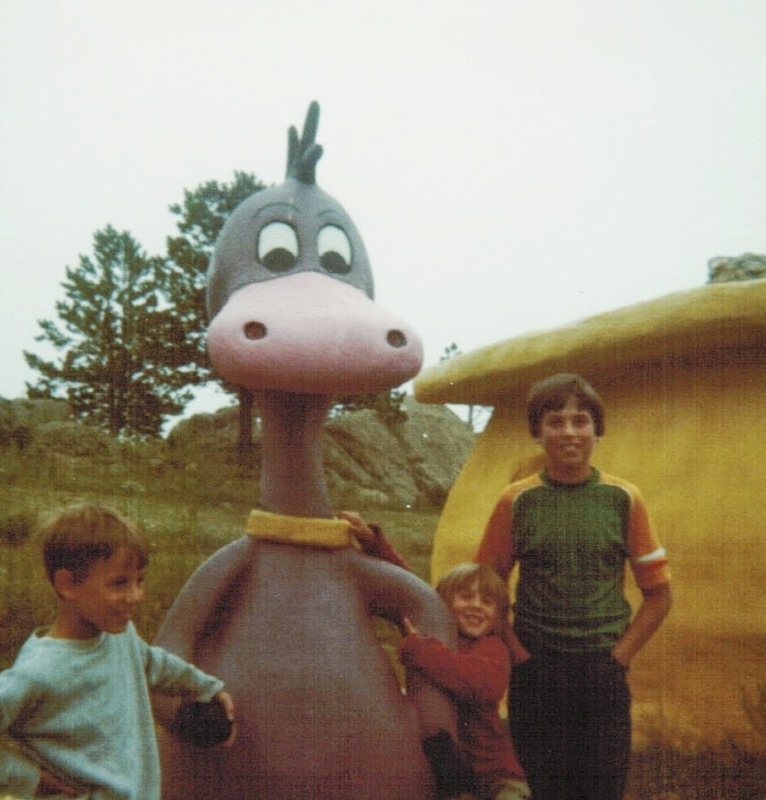 It was an integral part of every vacation as I grew up. 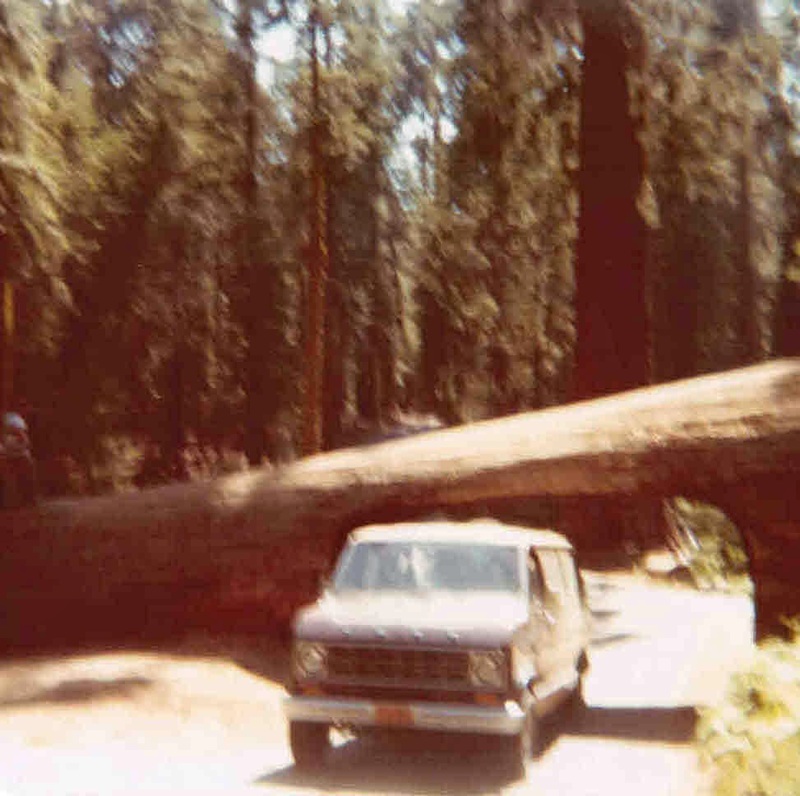 That van took us on innumerable camping excursions in the summer and Disney World trips during mid-winter break. It eventually took us all off to college. I wish I had a picture of the interior. My father set it up himself. My brother Eric picked the van color, brown, but it had a tan roof so it would not get as hot. It had a bench seat about two-thirds of the way back. We added brown paneling to the walls, orange carpet to the floor and orange curtains on the windows since we would be sleeping in there some nights. 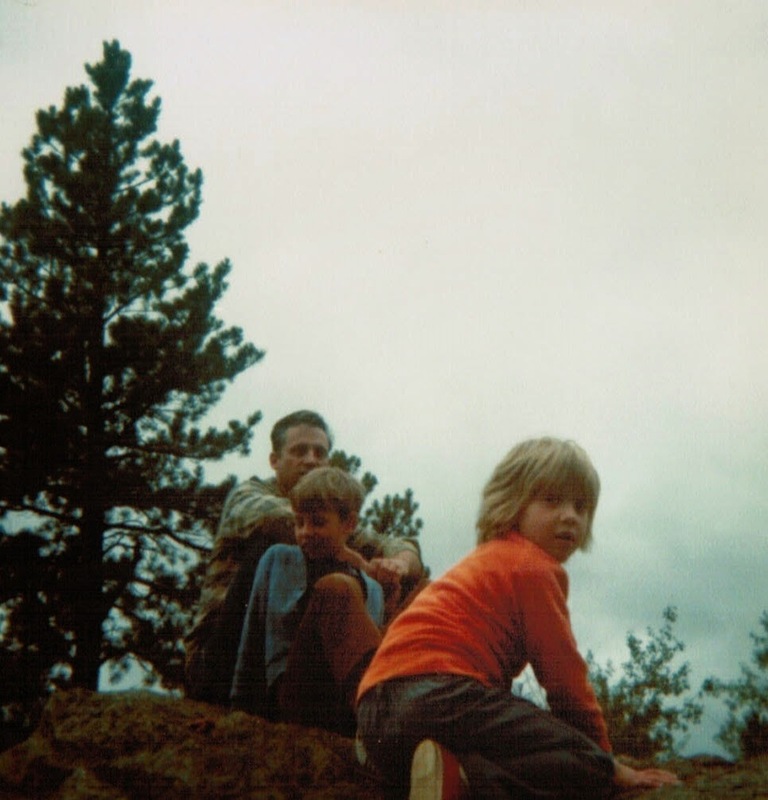 I fondly remember the wars my brother and I had when he crossed over the seam into my portion of the bench seat. Behind the bench seat, at about the same height as the top of the seat my father put in a piece of plywood (orange carpeted of course) which acted as a bed on the nights when the five of slept in the van. All of our stuff was underneath. We even had a porta-potty. It was also brown. 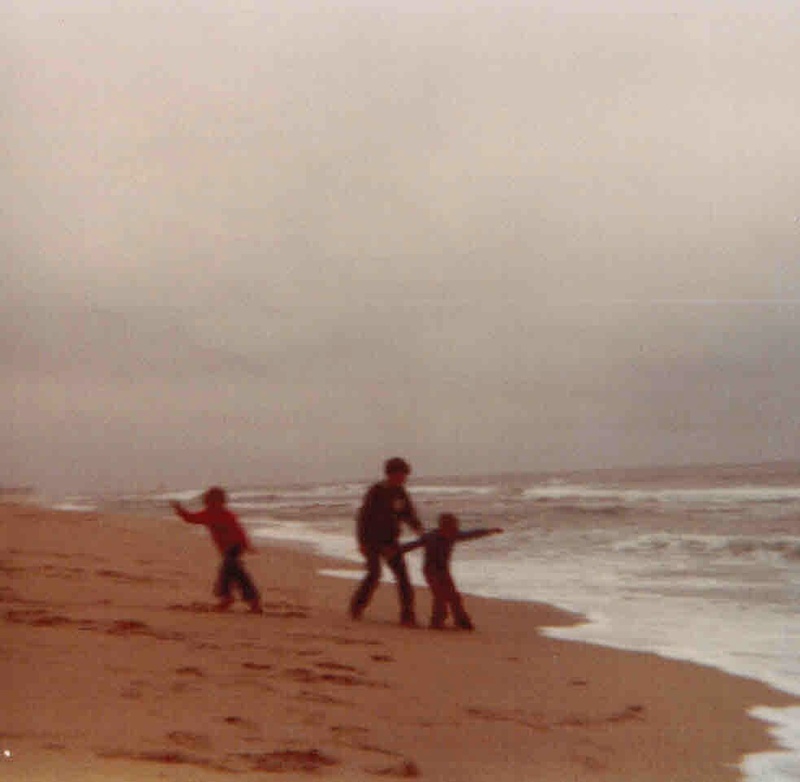 I guess with three kids my father didn't want to stop every time one of us had to go. It was a lovely shade of brown. Home sweet home rolling through Sequoia. From what I'm told we went from NY and took a more southern route to the west coat then came back via a northern route. That is the opposite of what we are doing this time around. 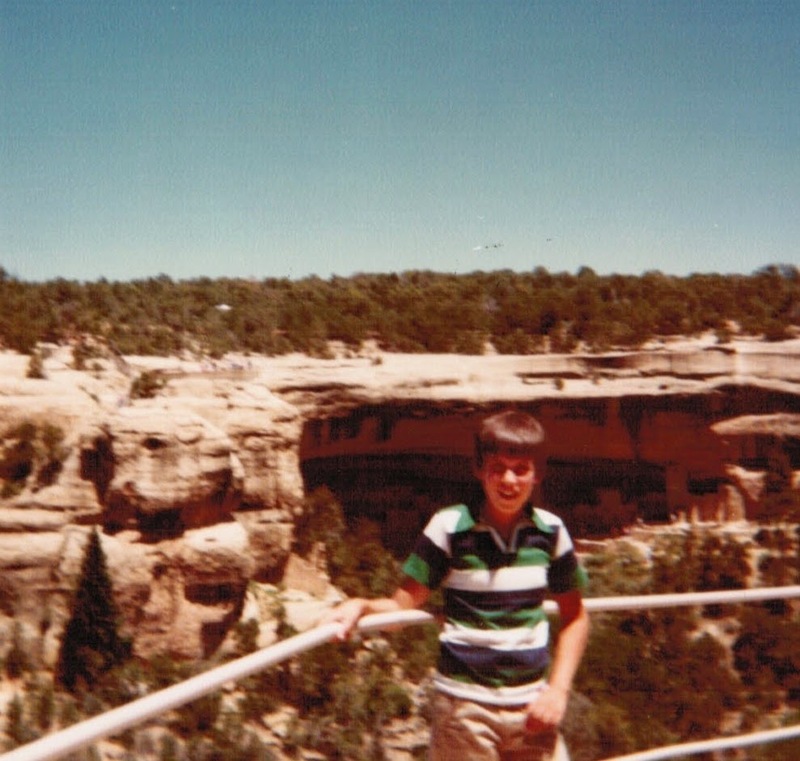 The photo album my Mom had starts in Colorado with Pikes Peak and Mesa Verde (or Mesa Verdi as my Mom spells it). Next up was the Grand Canyon followed Sequoia National Park. Then we hit California. I'm not sure exactly where the picture by the Pacific is taken, although I do see pictures of the San Francisco Zoo and the National Forest in California. You will see in the picture below that we are all backing away from the Pacific. I believe the threat was that if any of us got wet it would be peanut butter and jelly for dinner again. If we stayed dry, we got McDonald's. Grand Canyon. I think we all had the same haircut. Stay dry! No more PB&J!! After a sweep through Utah to visit family we were off to Yellowstone, Devils Tower and Mount Rushmore. 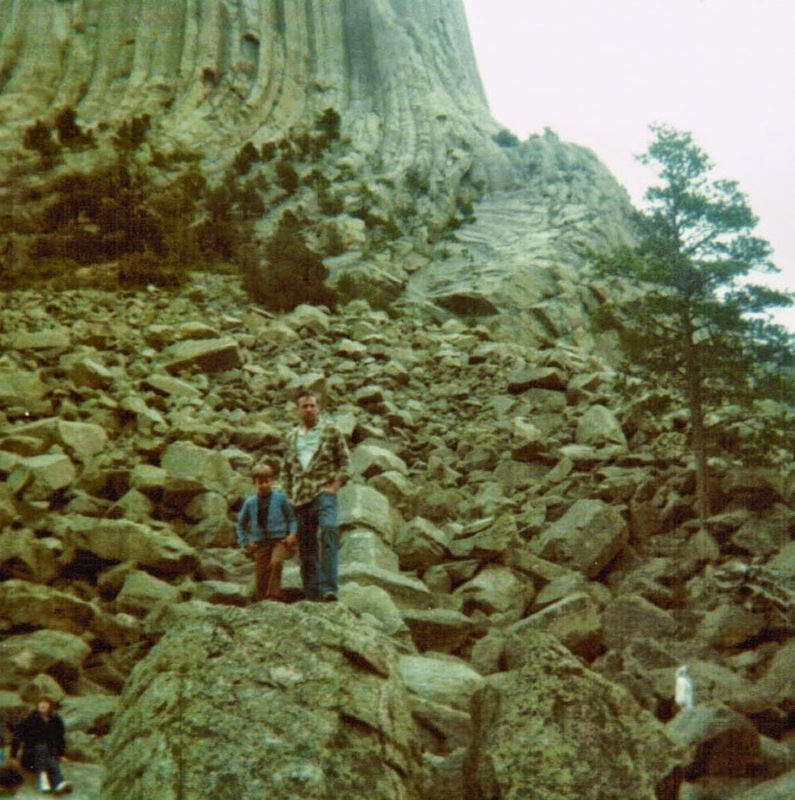 Dad & John at Devils Tower. The only pic that had both people and tower. 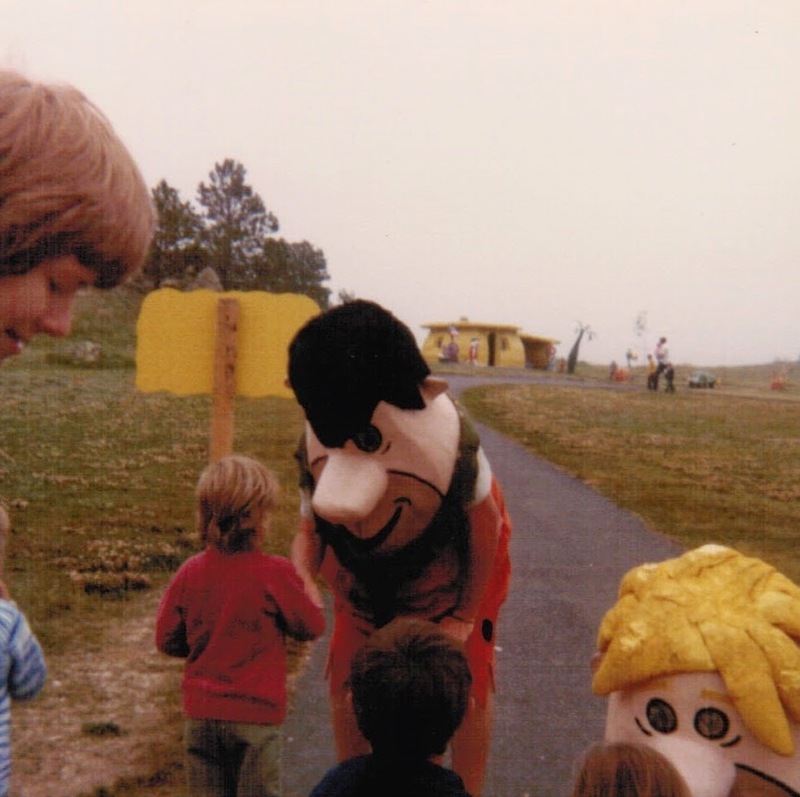 I just realized I still have that same haircut. Then finally, what was probably the highlight of the trip for me was Bedrock City in South Dakota. I even got to shake hands with Fred!! I haven't washed that hand since, it's actually kind of gross, but I always want to carry a piece of Fred with me. Yabba Dabba Doo to you. I kept it professional. The only picture where the three of us are smiling at the same time! I've definitely been riding more. I took a 45 mile route to the post office that is three miles away last week. I tested out the wireless hot spot and it works well. Our newest purchases in advance of the trip include a Stubby tire changing tool, a valve replacement tool and white LED lights to mount on the front of the bikes. Those were all purchased by my husband. I went to Walmart and bought a compact mess kit. Different priorities I guess. I also bought a couple more freeze dried food packages. We tried to find them cheaper on the internet but by the time shipping was added it made more sense just to go and buy it at Walmart. 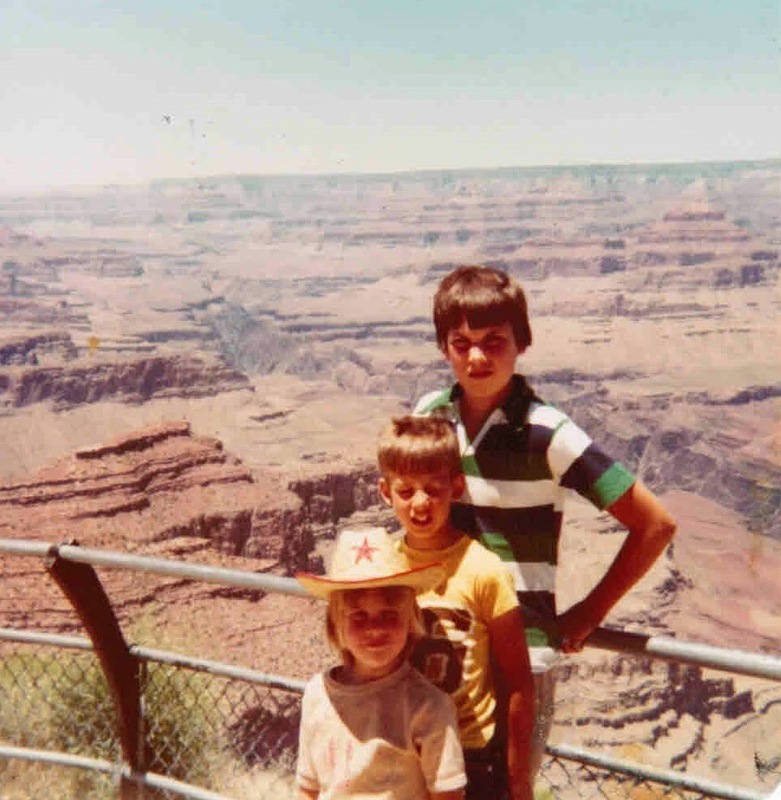 So 35 years later it feels like I'm due for this trip again. Slightly different mode of transportation and altered route. Still camping (we'll see about that). So I guess as my father shakes his head in disbelief at my endeavor it is really all his fault. He started it.